At the heart of benefits of network marketing is the ability to leverage your time while creating a residual income. Most jobs where you have an employer, use the hourly wage or salary model to earn an income. That is, you trade your time in hours for money. With a limited number of hours in your day, you would have to spend all your time working to earn the income you really want. That is exactly why one of my favorite benefits of network marketing is doing work and being able to duplicate and multiply your hours so you can enjoy more freedom in your life. That’s what network marketing success is all about! 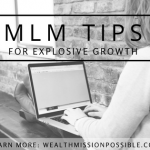 In this article I’ll share some of the benefits of network marketing that will get you pretty excited! Do you like the idea of working smarter instead of harder? 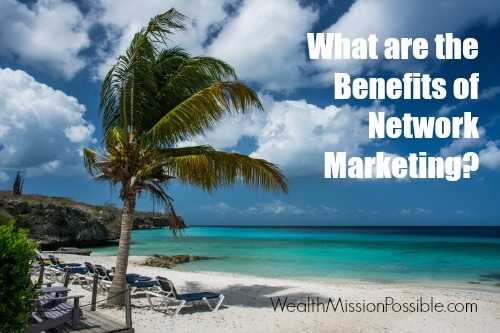 There are so many great benefits of network marketing! That’s just the start. Here’s a few more. Low risk. Any entrepreneur business comes with some risk but with your own network marketing business, the risk is very low. You can usually get started with a couple of hundred dollars or less and have a monthly autoship of $100 or thereabouts. I know what you’re thinking! $100 autoship? That is not how to think about this business. Think like this instead: I will recoup my monthly investment tenfold and more! 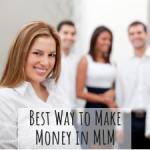 Video: What are the benefits of network marketing? Plugging into a like-minded community. This is one of the treasured benefits of network marketing. You get to hang around a community of people who are all working to achieve their goals, stay positive and be a in a success mindset. It’s much better than all the negative people you probably hang around most of the time. Residual income. You gotta love it! Residual income is when you continue to get paid after the work is done. Can you say that about your current job? This is one of the best advantages of having your own successful MLM business. Flexible time. One of the things I love about this business is you can make your own schedule. In fact, this is the type of work you can take with you wherever you go. If you are at the store or even on vacation, you never know who you might meet that may be interested in your products or business. You can sell products at any time, from anywhere. And if you are are an online marketer, your online presence is as asset that works for you 24/7. When you are in business for yourself, especially with residual income, the rewards are amazing! You get to take part in changing your life as well as the lives of others. The most important ingredient you need for real success in network marketing is a steady stream of people to talk to. Certainly you should talk to your friends and family but eventually you’ll run out. 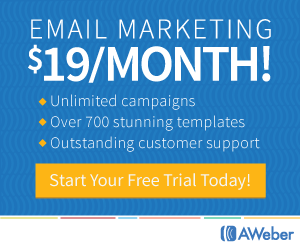 The most effective way that I find people to share my information with is through online lead generation. 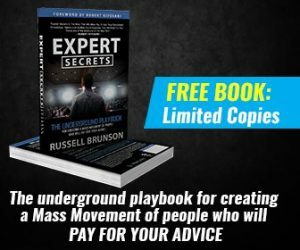 CLICK HERE to learn how you can reap the benefits of network marketing with a 5-step profit system! Thanks Mike! 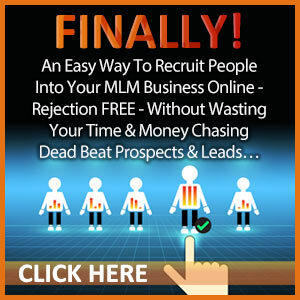 Residual income is so powerful! The whole network marketing model has many more benefits…these are the top advantages that people should carefully considering before saying NO to network marketing. The biggest reason I got involved in network marketing is flexible time. Being able to spend the hours of the day doing what I want, when I want, and not being tied down by a job. Thanks for stopping by Terry! That’s a great reason! Having a flexible schedule can make a huge difference in your life! I can’t imagine sitting on the freeway in all that traffic anymore. Here’s to your continued success! To the top we go! Great video and topic Lisa … gotta love residual income. Time really is precious isn’t it! Thanks Tracey! Have you noticed that Time gets more and precious as it goes by? Residual income is the solution to so much!